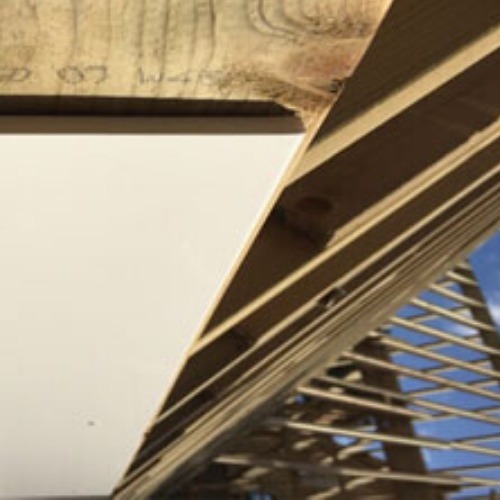 The purpose of a soffit is to close the gap on the underside of the rafter feet, between the back of the fascia board and the external wall face. The soffit can be fixed to the wall using a batten, or it can rest on top of the external brickwork, as is usual in new build situations. 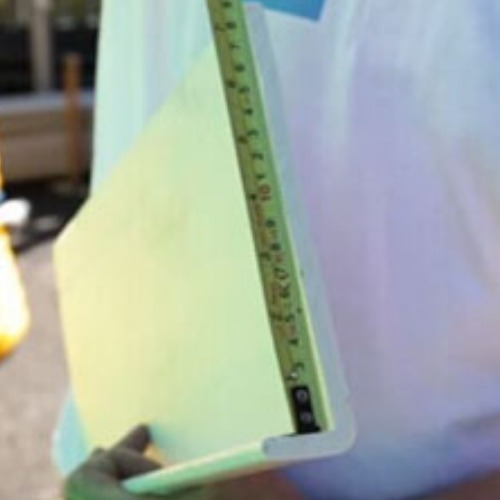 Professional Building Supplies soffit board is a multi-purpose board that can be used on its own or with secondary ventilation products such as circular disc vents or strip vents. PVC Soffit Boards should be fixed using 2 x 40mm Polytop pins spaced no further than 600mm apart (400mm for woodgrain boards). The range is available in white, mahogany, rosewood, golden oak and black ash.